Peel and core the apples. Slice the apples until they are very thin. In a large bowl mix the apples with the granulated sugar, brown sugar, and flour. Then add enough cinnamon so that the apples no longer look pale. Flour a counter and roll the dough out. Place a pie crust into a pie pan. Put the apples into the pie crust.The trick to her apple pie is that she places each slice of apple in the pie crust like putting in a puzzle piece. 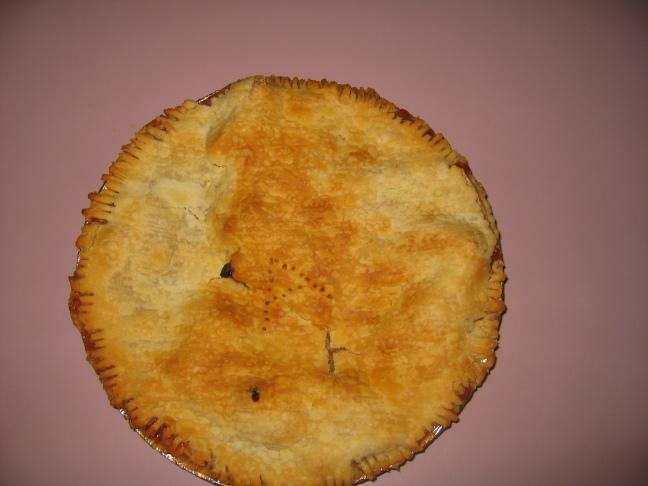 Each slice of apple gets laid flat into the pie crust. Place the 8 pats of butter on top of the apples. Wet the edge of the pie crust so that it will stick. Place the second pie crust on top of the apples. Using a fork press the edges of the pie crust together. Remove any excess pie dough. Create the letter A in the center of the pie. Place a small amount of milk in a bowl. Using your fingers rub the milk over the top pie crust. Bake at 400 degrees for 30 minutes or until the pie is golden brown. anonymous : Is this G,ma Marie's pie recipe?